The Hubble telescope has detected signs of several doomed comets plunging right for the heart of a nearby star. 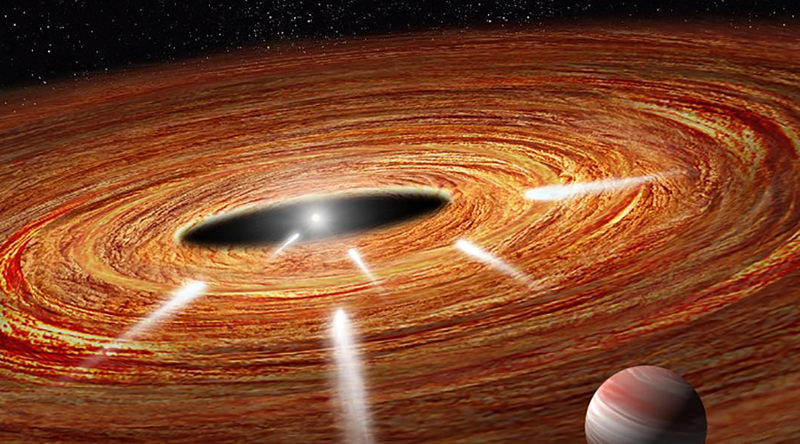 Astronomers says a Jupiter-like planet likely ‘slingshot’ the comets to their doom. The star in question, roughly 23 million years old, is HD 172555, found in a nearby ‘teenage’ solar system 95-light years from Earth. Astronomers believe such comets may hold the key to several long-running theories about the makeup of nearby star systems and how life-forming elements find their way onto planets. “In fact, these star-grazing comets may make life possible, because they carry water and other life-forming elements, such as carbon, to terrestrial planets,”said Carol Grady of NASA's Goddard Spaceflight Center in Greenbelt, Maryland, who is leading the study of the data. Grady’s team believes that a nearby Jupiter-sized planet is responsible for hurling the comets off-course and into the star, reinforcing the ‘gravitational stirring’ theory. Exocomets - comets outside of our own solar system - are so far from Earth that our most sophisticated technology can only detect the signatures of certain elements in their tails as opposed to seeing them directly. By using a spectrograph to divide light into its component colors, scientists can identify an object’s chemical makeup. In this case, a HARPS (High Accuracy Radial velocity Planet Searcher) from the European Southern Observatory detected traces of calcium emanating from star in 2011. Grady and her team then used both Hubble's Space Telescope Imaging Spectrograph (STIS) and the Cosmic Origins Spectrograph (COS) in 2015 to analyze the ultraviolet light, detecting silicon and carbon gas. The gas was observed traveling across the face of the star at a whopping 360,000 miles per hour (579,000 km/h). "As transiting features go, this vaporized material is easy to see because it contains very large structures," Grady said. 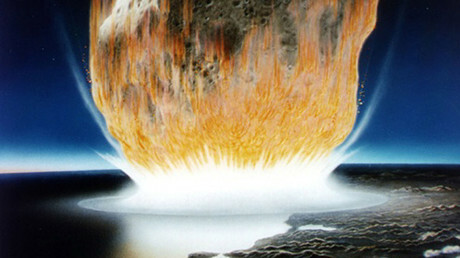 Grady was quick to point out that more analysis is needed before the team can state unequivocally that the doomed objects are icy comets and not rocky asteroids. "Hubble shows that these star-grazers look and move like comets, but until we determine their [exact] composition, we cannot confirm they are comets," Grady said, adding that she hopes to use the STIS and COS systems again to search for oxygen and hydrogen.